Early Wednesday morning, May 2, 2018, a call was received regarding a house fire on Czepiel Street in Chicopee. The fire was first discovered around 6:15 am by a neighbor who heard explosions coming from the house. 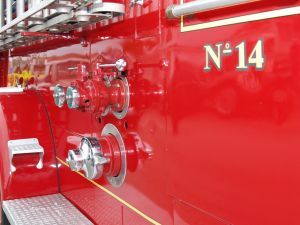 The fire was in the home of an elderly couple who were both transported to Baystate Medical Center for evaluation and treatment of their injuries. Both were admitted to the hospital after arrival. The wife’s condition has been reported as serious, and the husband is still being evaluated. Neighbors say they woke up to the sound of explosions from the house. When they went outside, they reported that smoke was billowing from the house. The State Fire Marshal, after initial investigation, believe the fire began in the living room and it was an electrical fire. They report that material was covering a lamp cord, which ignited the fire. It took crews several hours to process the scene, during which time Czepiel Street was closed to traffic. According to the CDC, house fires and inhalation of smoke are one of the most common causes of death in home deaths. Fires can be very scary and burns from fires are very painful. Medical bills can pile up very quickly and be hundreds of thousands of dollars. Your main priority should be getting better and healing. Let an attorney handle the legal aspects of your case. We care about you and your case here at the Law Offices of Jeffrey S. Glassman, LLC. After you’ve been injured in a fire, we would like to help you get the compensation you deserve. Do you feel you need legal assistance because another person’s negligence has caused you to be or a loved one to be injured? If you or a loved one have been killed or injured in a car accident, please contact the Law Offices of Jeffrey S. Glassman, LLC at (617) 367-2900 as soon as possible.